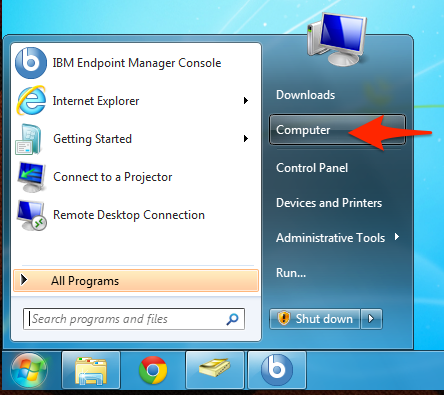 From your Windows 7 computer click the Start Menu, then select Computer. 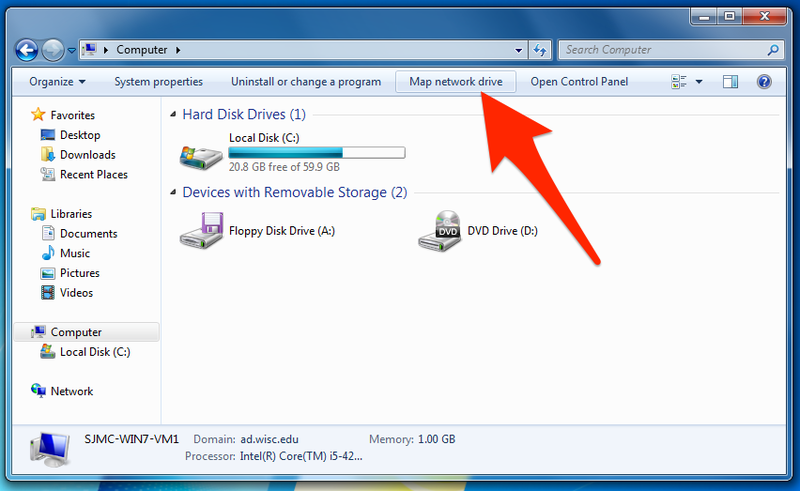 Next, select Map network drive. 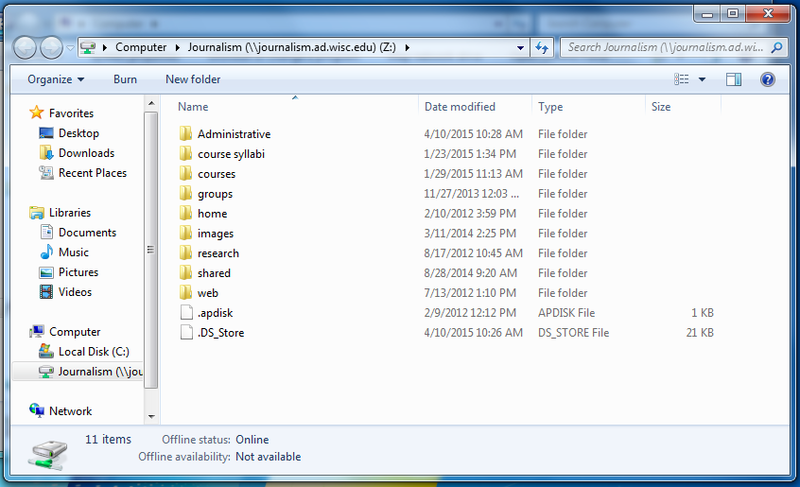 In the Map Network Drive window the Folder needs to as in the image below, \\journalism.ad.wisc.edu\Journalism. Reconnect at logon is optional, this will tell your computer to try to reconnect when you log out and back in or reboot. Connect using different credentials must be checked. In the Windows Security enter your UW NetID followed by @wisc.edu. This is not your firstname.lastname address you may have switched to when moving to Office 365. Your NetID never changes. A Network Error window means you either have no internet connection, or you are not on the campus network or connected to the campus VPN. 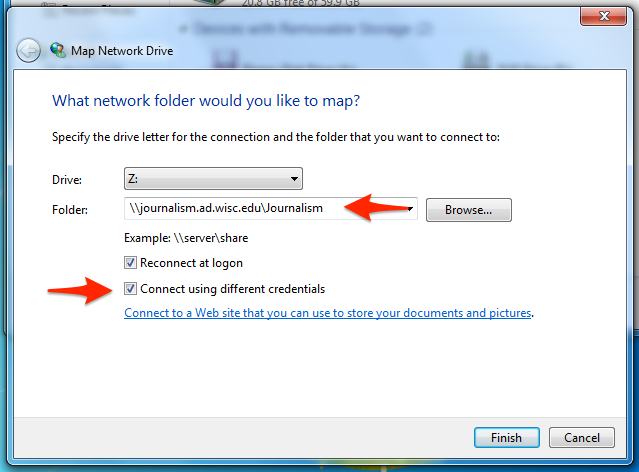 See the notice at the start of this article for information on installing the campus VPN client. 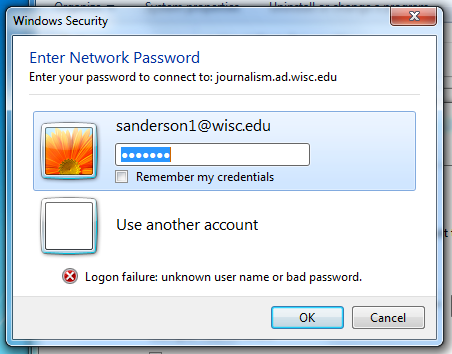 A login error means you have entered your credentials incorrectly. 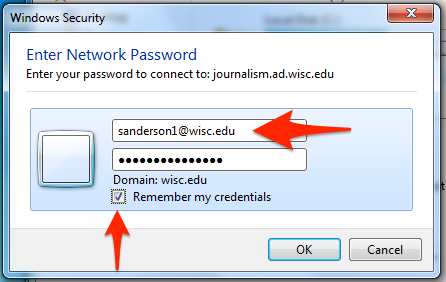 Ensure you are using your NetID followed by @wisc.edu, and the correct password for your account.